What Is The Certified NPA Teacher Training Programme? 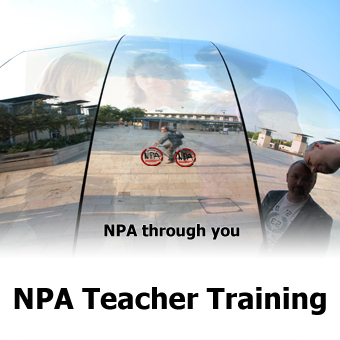 The NPA Teacher Training Programme qualifies you to be an NPA teacher and presenter. 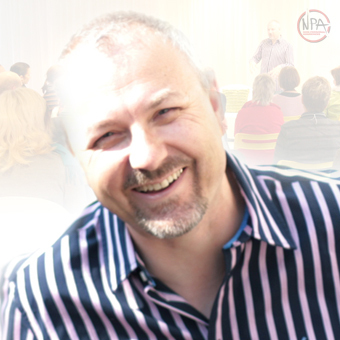 The training will give you all the key elements you need to present the core teachings of NPA, and The NPA Expansive Weekend which you can then go ahead and do for love, profit and the growth of NPA. The training will help you discover how the NPA Teachings express themselves through you; what’s your flavour, what’s your style, who are you in relation to teaching NPA? NPA Teacher Training will bring you into The NPA Abundance Loop; a transparent and mutually sustainable business model. We will support you in making your events a success on an experiential, organisational and financial level. 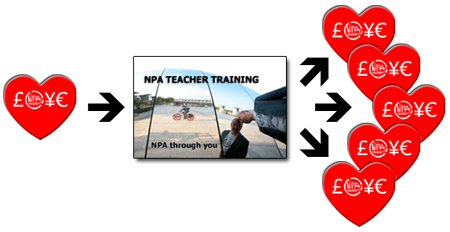 Being an NPA Teacher will raise your profile and enhance your role within the NPA Community. And, as the first wave of NPA Teachers, you will become a leader within The NPA Community. You may even go on to become a teacher of future NPA teachers and build a following for your unique take on NPA. Together we will expand NPA, it’s teaching and even it’s context in ways, as yet, unseen. Who Is The Certified NPA Teacher Training Programme For? You are up for an adventure! Something inside just tells you this is for you! What Will You Experience As A Certified NPA Teacher? Teaching NPA allows it’s energy to reshape the landscape of your life, like a river creates a valley. You will experience a tremendous alignment, a consistently easeful perspective and the joy of authentic being. The relational teaching is a game changer, and a thrill to share with people for the first time. You will have the experience of waking them up to the fundamental flaws of our current model of relating, and shining light on the how of togetherness in wholeness. The NPA Integration Frames enable your participants to let go of the legacy of their fundamental conflict. You will see deep conflicts resolve into the beautiful and longed for harmony that was always available. A truly moving experience. Demonstrating Co-Creative NPA delivers the ‘Tingley Winglys’ of profound alignment more than anything! And the co-creation circles always guarantee an unbridled smile. Not only will you be connecting with the wider NPA Community, but as you take the first steps into your teacher-ship (whether boldly or tenderly) the NPA Abundance Loop, and your fellow NPA Teachers will be there to support you as you grow. There will be regular Teacher Peer support calls and startup support to get you going with event management and marketing. Togetherness in wholeness starts here! Because that’s what it feels like to let your love, light and passion shine in service to humanity and the Bigger Being. To qualify for this programme, you must have completed The NPA Expansive Weekend at least once. If you haven’t done that so far (perhaps you did an NPA Virtual Teleclass, The NPA Experience 1 Day event or have bought NPA: The Bridge Audio Programme – contact us to find out how you can qualify. Regardless of your home currency, you will be paying in GB£-sterling. If you’re wondering “How am I going to pay for that?” – think abundantly! In just 3 seminars, with only 10 participants in each, and participants paying a guideline fee of £197, you will take £5910. Your 10% commission to NPA would total £591. If you pushed the boat out on expenses and allowed £1500 (£500 per event) you will have paid off your training fee AND be £486 in profit! Please note: Payment for your training is due regardless of the success or otherwise of your events. And That’s Just Your First 3 Seminars! After that, your profit on all levels will only continue to grow! Welcome to a sustainable business model!